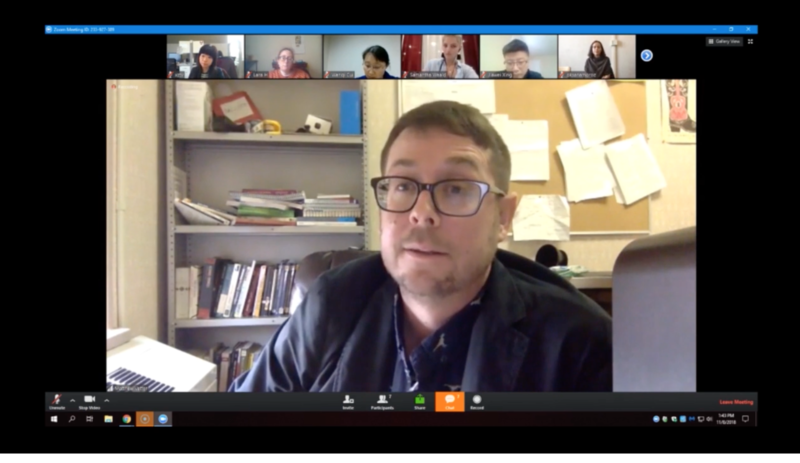 On November 08th, 2018, the “Wikipedia-based Education” teaching circle at Indiana University of Pennsylvania (IUP) organized a Zoom webinar on teaching with Wikipedia. Teaching circles at IUP are small groups of instructors and faculty who meet together to explore new pedagogical approaches and to address issues in teaching. 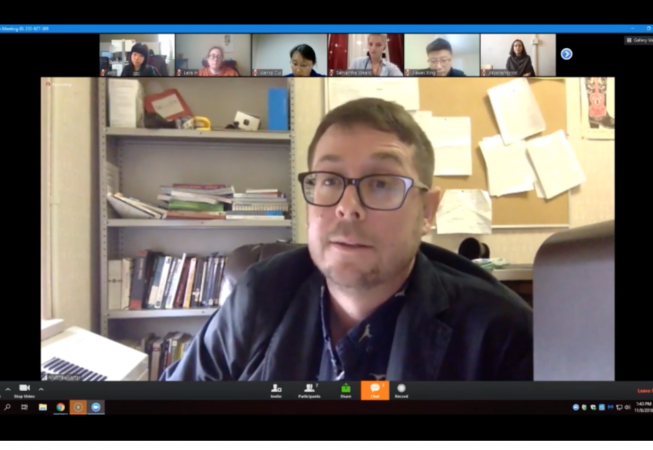 The theme of this webinar was “Critical Approaches to Wikipedia-based Writing Pedagogy,” which explored ways to cultivate students’ critical literacy and critical thinking through teaching. Led by Dr. Matthew Vetter, five writing teachers attended the meeting, including Wenqi Cui, Lara Hauer, Jialei Jiang, Oksana Moroz, and Jiawei Xing. Jiang later wrote a review of the webinar, and edited screen captured video to create a special feature on the Digital Rhetoric Collaborative website.